Tugann Gaelscoil Uí Earcáin tacaíocht do Sheachtain na Mata. 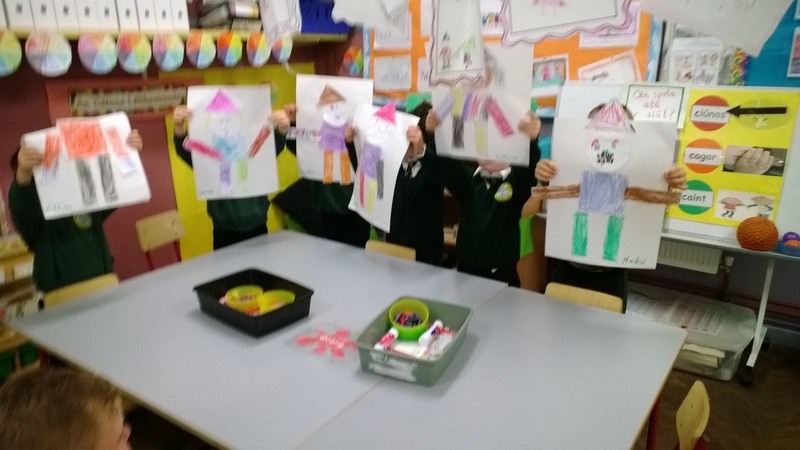 Bíonn plean déanta amach don tseachtain seo agus cuirfear go leor cluichí, tascanna agus ranganna breise ar siúl don seachtain sin. 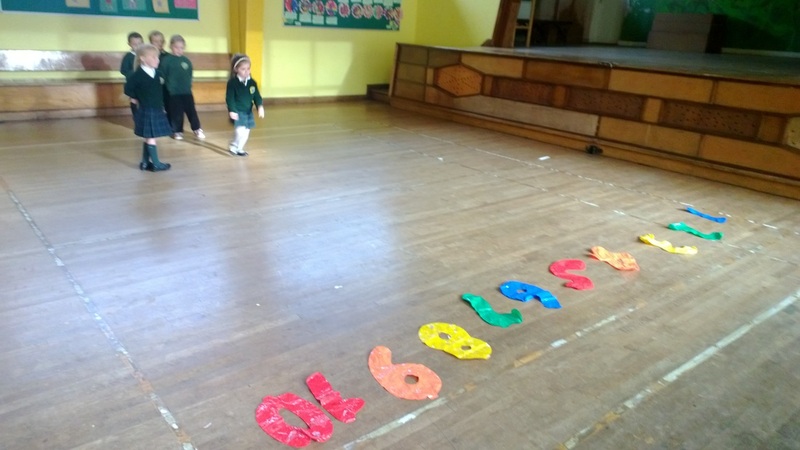 Is seachtain í ina cuirfear an mata chun cinn mar ábhar iontach spraíúil agus go bhfuil gach éinne ó gach rang in ann páirt a ghlacadh. 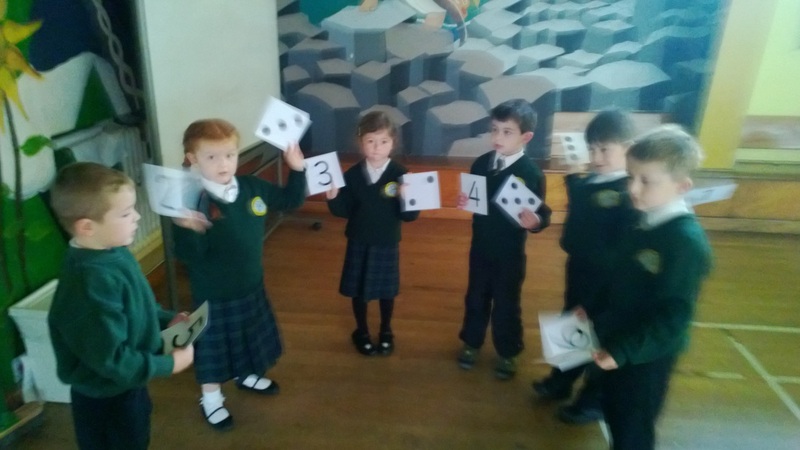 I rith na seachtaine seo bíonn gach rang le cloisint agus le feiscint ag obair go dian timpeall na scoile agus iad ag tabhairt faoi Rian Mata agus na cluichí mata a bhíonn eagraithe dóibh. Baineann na páistí agus múinteoirí an-taitneamh as na gníomhachtaí éagsúla agus iad ag fiosrú “Tá an Mata mórthimpeall orainn”. Gaelscoil Ui Earcáin takes an active part in Maths Week. A plan is made out for the week where there are a lot of games, activities and tasks for the páistí to participate in. 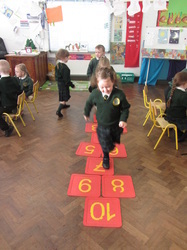 It is a week where we promote Maths as an enjoyable subject where everyone can take part! 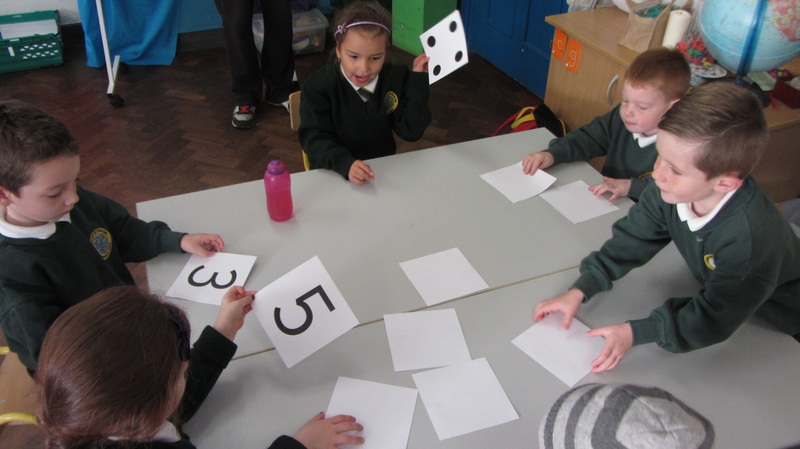 During the week the classes can be heard and seen working hard around the school on their Maths Trails and playing Math games. 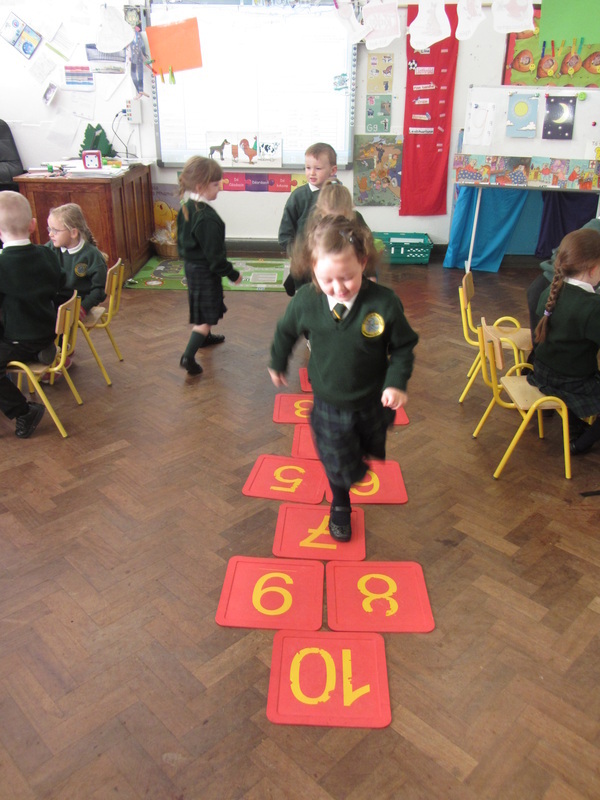 Both the páistí and múinteoirí thoroughly enjoy the different activities as they explore all the Math around them.